ZOXPIXELMON: Are you a true Pokemon Master?....Do you wanna be the best like noone ever was? Well I got the answer for you!!!! 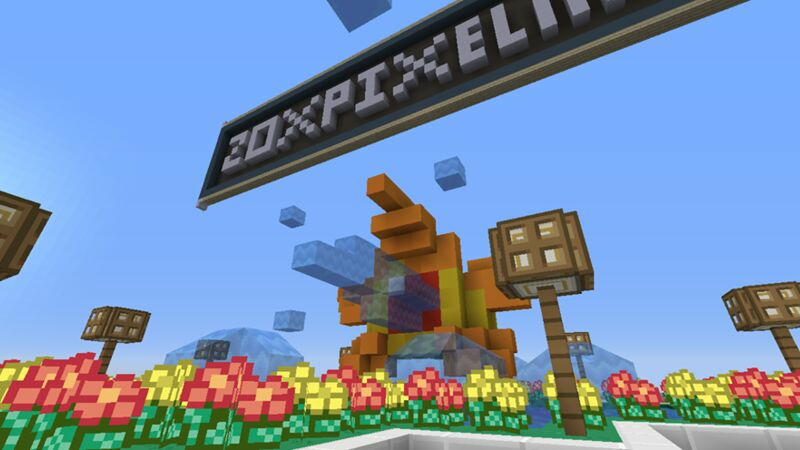 Join our server and become a Pokemon Master in Minecraft! Pokemon’s are waiting to be captured by you. Trainers are waiting to be defeated by you! training your Pokemon and your skills and you’ll become the very best of them all in no time! Staff: Are very important in a server most in a Pixelmon Sever no doubt! Our staff in our server are: 100% respectful controls any problems any trainers need staffs are available everyday! Compete with a staff on a Pokemon Battle anytime! Guaranteed staffs will make your journey complete! Gym Leaders: Our Gym Leaders are unique pokemon trainers that will take your journey to a challenge! 8 Gym Leaders waiting to fight trainers(Like You) Are you up for the challenge which will take you one step further to the Pokemon League!!! Pokemon’s: Are coming to life in Minecraft! Gen’s 1,2,3 and 4 coming on your way to challenge you and to be Captured! Our system make every biome full of your favorite Pokemon’s! Legendaries: Are found in this server! Take your journey to a whole different level and face legendaries! Capture them and show them off to other trainers or use them for a battle! join us now and start your journey to become a Pokemon Master and remember…YOU GOTTA CATCH THEM ALL!